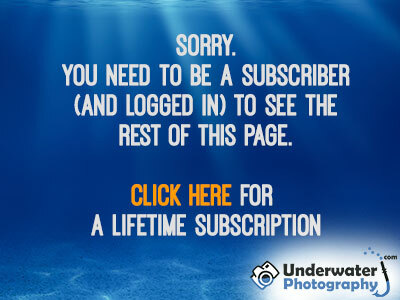 Many underwater photographers prefer the freedom of shore diving to the regime of day boats and club dives. Results bear out that the most consistent work is produced between three meters/10' and the surface. Boat diving tends to be in the 10M+ range and, by economic necessity, involves diving in a group. Group diving is nearly always counterproductive.